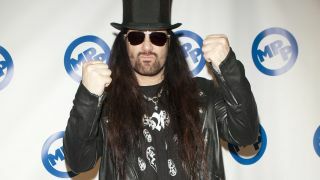 Onslaught have split with stand-in singer Neil Turbin with two shows remaining on their US tour – and the parties have issues statements criticising each other’s position. Guitarist Nige Rockett says the former Anthrax man was fired earlier this week after failing to learn the British band’s set. But Turbin, who was brought in because Sy Keeler had to deal with personal issues, insists he quit after he wasn’t paid what had been agreed. He said that a pre-show argument in Montreal led to a meeting with Rockett, where Turbin asked for money he was owed. “Nige told me he needed to get paid $2000. I spoke with Nate Klug, tour manager, who said that all the money was going to the van and Nige was supposed to pay me. Turbin and former Anthrax bandmate Scott Ian were recently involved in a battle of quotes about Ian’s book.